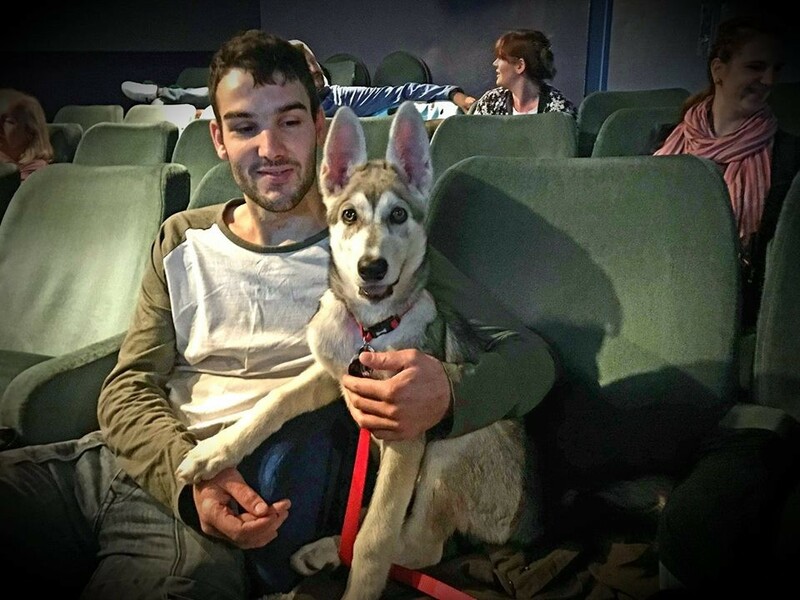 Dog Friendly Perthshire put on another great event at the Imax Playhouse in Perth. I’ll admit it, I’m a reformed film geek. When I was a kid, Perth Playhouse was the first place I was allowed to go unaccompanied by an adult, and I loved it. I lived in Oakbank and could get the No. 7 bus straight to Mill Street, which is why my folks felt ok with me and my pals taking an excursion there every Saturday afternoon. To be honest, I didn’t even particularly care what was on, going to the cinema just made me feel like an adult. Even if I was watching ‘Honey I Blew Up the Baby’ or ‘Mr Nanny’! 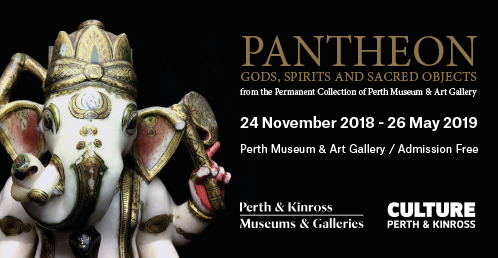 Part of the genius of Dog Friendly Perthshire’s events is that they combine two things that alone are already awesome to create awesomeness squared! Take their last event, ‘Puppies and Prosseco’. It melded a drink in The Green Room with an afternoon of letting your four-legged buddy socialise with other pups. 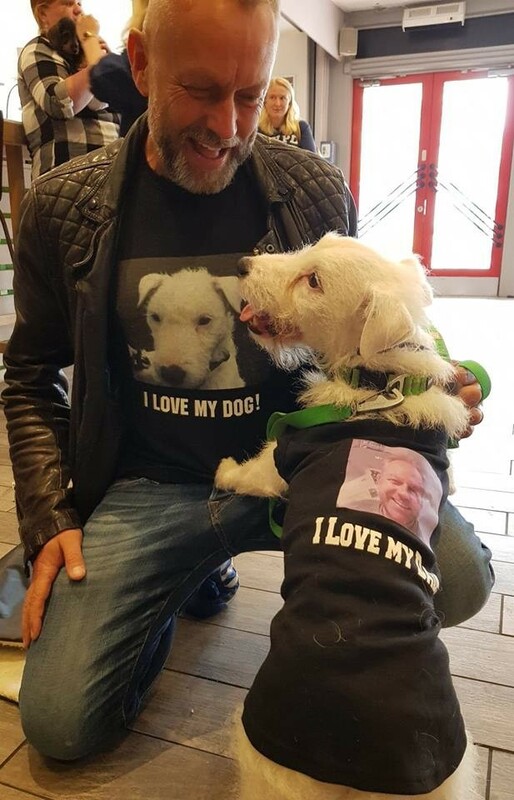 Even back then, Katie McCandles Thomas (owner of Dog Friendly Perthshire) was already hinting that she had some pretty exciting ideas up her sleeve. She hasn’t disappointed with the announcement of a double-bill of ‘Pooches at the Playhouse’ and a ‘Hawaiian Hounds Luau’ later in the month. I can’t wait for a chance to wear my Hawaiian shirt without everyone taking the mick! First up though it’s a trip to the movies with my girlfriend Jo and our loveable Romanian rescue mutt Millie-May. Only question is, what were we going to see? Millie doesn’t like rom-coms, so I was hoping it wasn’t one of them. She totally hates the meet-cute moment, and she goes on-and-on about how unrealistic it is the whole way through the film until it ruins it for everyone. Oh, wait… that’s not Millie … that’s me! But if it’s not going to be a romantic comedy what else could it be? Pup Fiction? Star Paws? Jurassic Bark? The Guns of Have-a-bone? Turns out a film that was just released in March ticks all the boxes, the quirky animation ‘Isle of Dogs’ by Wes Anderson. From the reviews I’d read, it seemed to have it all. An acclaimed director, stunning visuals, stellar performances and a dog-pun title (I love dogs, geddit?). I was really looking forward to it. 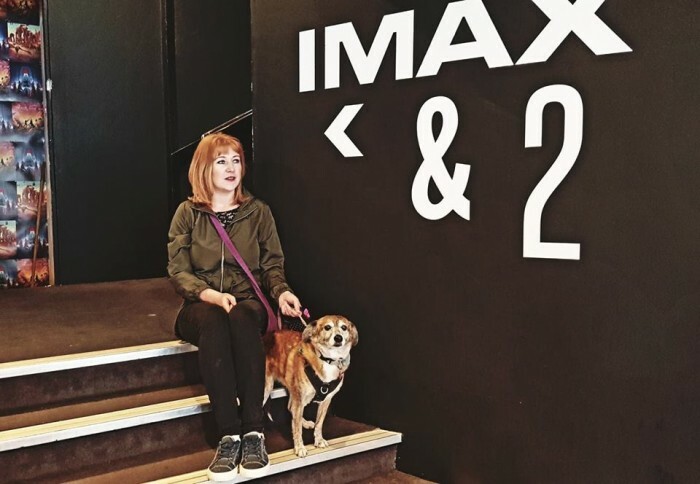 Jo and I hadn’t managed to make time for cinema for a couple of months and this way we got to kill two birds with one stone, watch a movie and pamper our pooch. We arrive nice and early. Truth be told, due to the recent heatwave, Millie’s been a tad grumpy of late. So, we’ve given her a nice long walk to get her nice and relaxed. First, we treat ourselves to a cheeky wee coffee at the City Café (which is part of the Playhouse). We only recently found out that it’s dog-friendly and it’s a great vantage point to watch all the other dogs arrive. We sip our latte’s and eye a procession of dogs of all shapes and sizes filing in from outside, eager to watch their first ever animated film at the flicks. 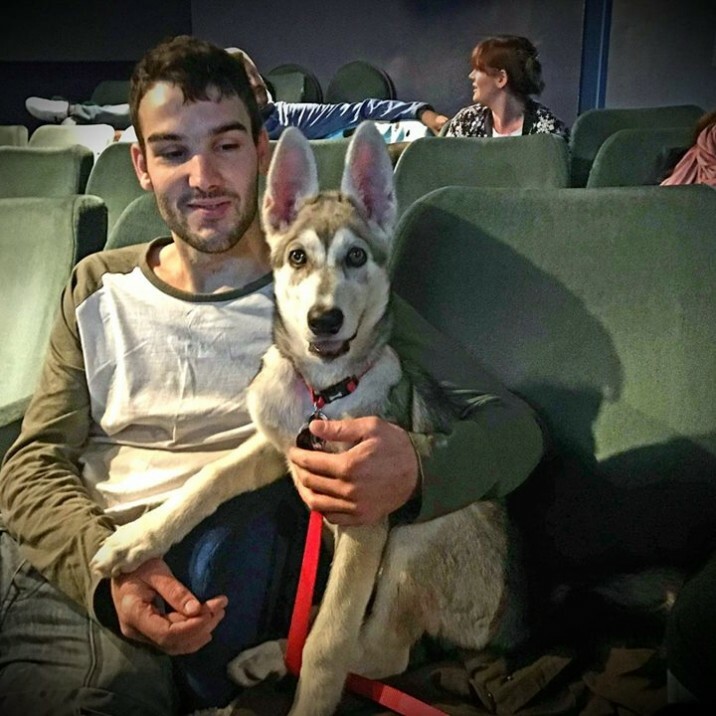 After we’ve had our drinks we take some time to introduce Millie-May to some of her fellow canine cinemagoers, including a Northern Inuit called Fern and a Jack Russell cross called Dave. We even have time for a cuddle with Dog Friendly Perthshire poster pup Baxter, before we get some snacks (hotdogs and slush-puppies obvs!) at the concession stand and head into the screening. Inside we lay down Millie’s blanket on the floor and she settles down remarkably quickly. She has a tendency to whine when she’s not constantly on the move but today she is as good as gold and allows Jo and I to become completely engrossed in the film. ‘Isle of Dogs’ is a really great flick, it’s kind of like a canine homage to John Carpenters ‘Escape from New York’. Millie seems a bit more interested in watching Baxter than the animated pooches on the screenThe plot involves a young boy named Atari enlisting the help of five dogs to find his lost dog Spots on ‘Trash Island’, which all pups have banished to after an outbreak of dog-flu. The stop-gap animation is absolutely stunning and the vocal performances by Koyu Rankin, Bryan Cranston, Jeff Goldblum and Scarlett Johansson are pitched just right. Often in animated movies, actors have a tendency to go way over the top and chew the scenery like a dog chewing a slipper. However, here the cast are impressively restrained, playing it relatively straight and turning in compelling, naturalistic performances. Having said that, Millie seems a bit more interested in watching Baxter than the animated pooches on the screen, and she spends most the films running time staring at him lovingly from her vantage point on the floor. Baxter seems a wee bit more taken with the film though, particularly when a super cute litter of puppies appear onscreen, letting out a longing sigh as they are fed. The rest of the furbaby audience are also remarkably well behaved. I had wondered that if one dog started barking or whining if it would set all the others off, but the dogs seem unaffected by each other. Truth be told the screening is no noisier than other none doggy ones I've attended. Also, the cinema staff seem to have taken extra care to remove any traces of food from the floor, which meant the dogs didn't spend the whole film trying to snaffle up stray pieces of popcorn and remnants of hotdogs. 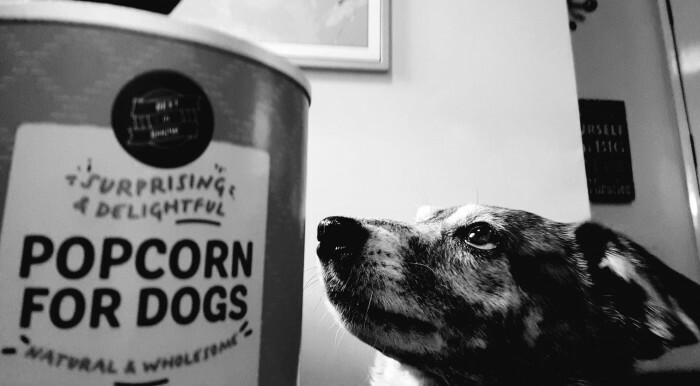 On the way out of the cinema, Millie was handed a great wee goodie bag containing a tennis ball, treats from Alans Pet Store, and Millie's new favourite food, doggy popcorn. We had a great time and we're pretty sure Millie did too!